Amy is a young Melbourne-based saxophonist, who completed her Bachelor of Music Performance (specialising in Saxophone) at the University of Melbourne under Ian Godfrey and Tarko Sibbel. In 2017 she completed her Masters of Music Performance Teaching at The University of Melbourne, Majoring in Performance (Saxophone) and Conducting (Band and Orchestra), and graduated with a High Distinction average. 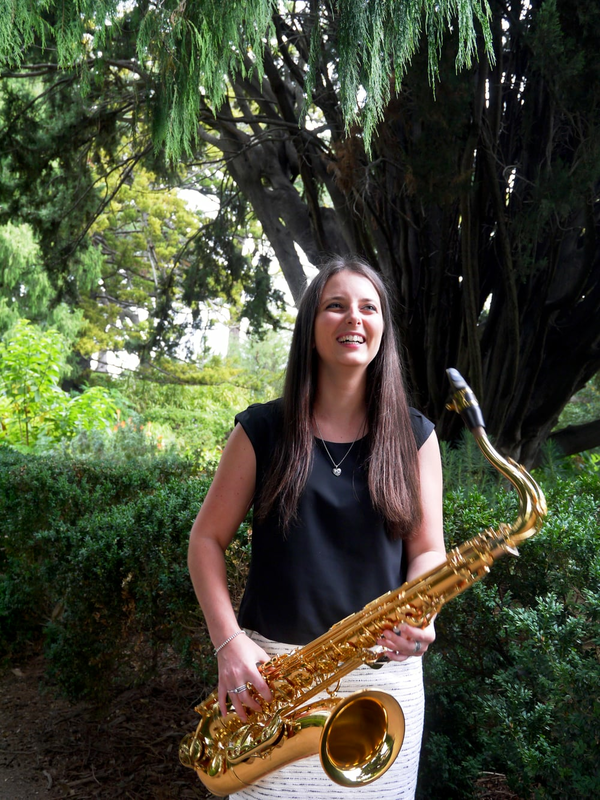 Amy is a passionate music educator and currently teaches saxophone at Genazzano FCJ College and Caulfield Grammar. She also teaches both saxophone and clarinet at Greenhills Primary School in Greensborough, tutors saxophonists in the Melbourne Youth Orchestras' (MYO) 'John Antil Youth Band' and has an ever growing studio of private students. She has previously been employed as a long service leave replacement saxophone and clarinet teacher at Ivanhoe Girls Grammar School, as a replacement saxophone teacher at Caulfield Grammar School, and has also been employed by Shelford Girls Grammar to give masterclasses to VCE students and to tutor students in beginning improvisation. She has participated in workshops and been mentored by leading international and local saxophonists including Niels Bijl (Netherlands), Joshua Hyde (Australia), Dr Stephen Page (USA), Barry Cockcroft (Australia), Sara Zazzo (Spain), Joseph Lallo (Australia), Shannon Ebeling (Australia) and Jessica Voigt-Page (Australia). In July 2015 she travelled to Strasbourg, France for the 17th World Saxophone Congress. This featured masterclasses, performances, lectures and world premieres -bringing together the world's best saxophonists from all around the globe. A keen chamber musician, in 2017 Amy performed in the inaugural 100SAX Weekend as part of the Melbourne Saxophone Ensemble. Amy was also the tenor saxophonist in the former Berkeley Street Saxophone Quartet. The quartet performed at the Melbourne Recital Centre, Captains of Industry (Little Bourke Street), Melba Hall and Open Studio (Northcote). Additionally, she has been a performer with the Melbourne Saxophone Collective, Melbourne University Big Band, Heidelberg Wind Symphony and the Melbourne University Saxophone Ensemble. In 2012 she participated in the Australian Premiere of Theirry Alla's 'Polychrome' for 12 saxophones. Amy has also received guest invitations to perform on both Saxophone and Clarinet in musicals such as Hairspray (SLAM Theatre Company), Annie, Beauty and the Beast (SPX Waterdale Players), Seussical (Warrandyte High School), 42nd Street and Thoroughly Modern Millie (Ivanhoe Girls Grammar School).